The image accompanying today’s installment is significant on several fronts. “Through death to life”, the cycle perpetuates. 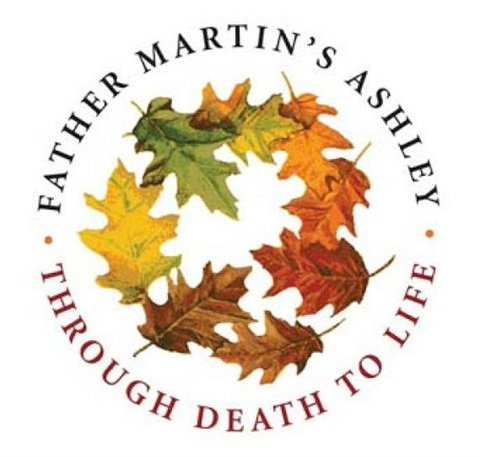 The original motto for the addiction treatment center, Father Martin’s Ashley, (after his death they changed it,) sums up a recent week of profundity. Two weeks ago, on Mother’s Day, the patriarch of our family passed away. US, (the other half of AK, he’s made several appearances on these pages,) was, in every sense of the word, our patriarch. An uncle to me, by marriage, he has assumed the role of my father-in-law for a great many years. A man of significant accomplishment, he was one of the pioneers who brought movies into our homes. In addition to having a hand in the birth of VCRs and pay-per-view, he knew the power of cable TV before it was even off the ground. The man was a visionary. His vita is the stuff of legends. Chairman, President, CEO, he had many titles. Although it has always garnered universal respect, his stature in the entertainment industry wasn’t the core of his patriarchy from my view, it was the care he took; for all of us. His love and generosity made you feel protected, you knew he had your back. He helped BK and I navigate some of life’s most difficult terrain. The Ashley logo plays a starring role in that journey. We had hit bottom, with no place to turn and the insurance well run dry, US stepped in and secured a scholarship for BK to the treatment center, Father Martin’s Ashley. Nestled on the shores of the Chesapeake Bay, rebirth picked us up and set us firmly on our feet. US opened the door, and to this day, 27 years later we have never been sure if the “scholarship” came from Ashley or from US. We didn’t ask, he wouldn’t have told us anyway. It was more than enough for him that we were okay and our fledgling family had a future. US was a handsome man, always impeccably dressed, pure class. A man who only got more distinguished with age. He quietly commanded attention just by entering a room. In his pocket was always a clean and pressed hanky; a trademark US accouterment. I never saw it look used, whenever he pulled it out, it was starched and, like him, immaculate. On the day of his funeral, his daughter Kathie, a no-nonsense beauty, handed each of us in the family one of his hankies. It was a clutch move, a practical piece of him we could carry with us, (noticed during the funeral, several of us were putting them to use, mine got a work-out.) BK kept his in his breast pocket, close to his heart, where he said it belonged. An interesting piece of family history, (that leads me to the later half of the aforementioned profound week,) as a child, at the tender age of 10, BK became US’s Godfather. US converted to Catholicism as an adult and he chose his youngest nephew to stand with him. Even then, he lifted the child he would eventually assume as his own. That bit of kindness established a bond that lasted a lifetime. When it came time to choose Godparents for our first child, US and AK were shoe-ins. The circle was complete. In more ways than one, we asked them to be Shay’s Godparents while we were all attending an Ashley event. Last Sunday, one week after Mother’s Day, having flown back from the west coast the day before, BK and I stood next to an alter with our new Goddaughter, Leighton. A babe in arms, she already has both of us wrapped around her finger. (Her parents, Sully and Ashley and her big bro, Cohen, have made appearances here before, couldn’t adore them all more.) Leighton's baptism was the perfect way to enclose the current circle. From one loving Godfather to another, it was a comforting sphere. We arrived at the church early and were ushered to the nursery, where mom and dad were corralling the kids before the service. Happy to have some private time with them, we walked in to find poor Leighton on the losing end of an allergic reaction. Her precious little face was swollen on one side, her crystal blue eyes barely slits, and her nose was running like a spigot. BK put his hand to his heart, there it was, the hanky. US would not have been happier to share his soft, saving grace with another of his Godfather’s children. BK pulled out the hanky and gave it to Leighton’s mom, a square piece of cotton from heaven. Or, at least, from a man who now resides there. My love and respect for US knows no bounds, he gave us our life back. Through death to life, indeed. The Ashley leaves will always be a favorite of mine. They remind me that death finds it’s way to life again. Rebirth is not only possible, but the natural order of things. Especially when the roots are profound love and generosity. Thank you, US, rest in peace.